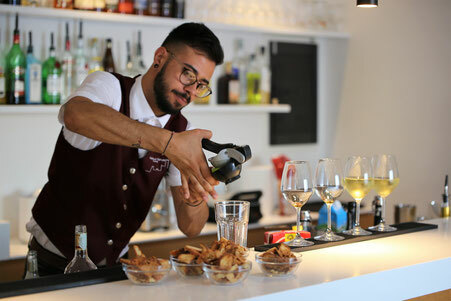 The lounge bar is a perfect mix of style and conviviality and comfortably furnished with armchairs both inside and on the terrace overlooking the pool and the sea. 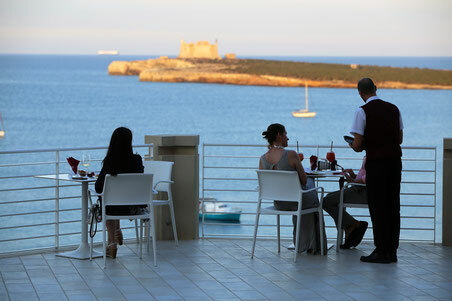 Ideal location in the heart of the castle is undoubtedly the reference point for evening entertainment. While at any time of the day guests can relax while admiring the beautiful view. Traditional tea and biscuits from 16.00 to 17.30. Environment Modern and elegant, ideal to enjoy a coffee or a light and tasty lunch with appetizing salads of all kinds, gourmet maxi-toast, fruit, fruit juices. Cocktails and delicious aperitifs in the afternoon as well as pleasant after dinner.